Another wonderful poem written by PRIYANK GOEL. Happy hugs day to my readers again! Keep reading and keep spreeding love! 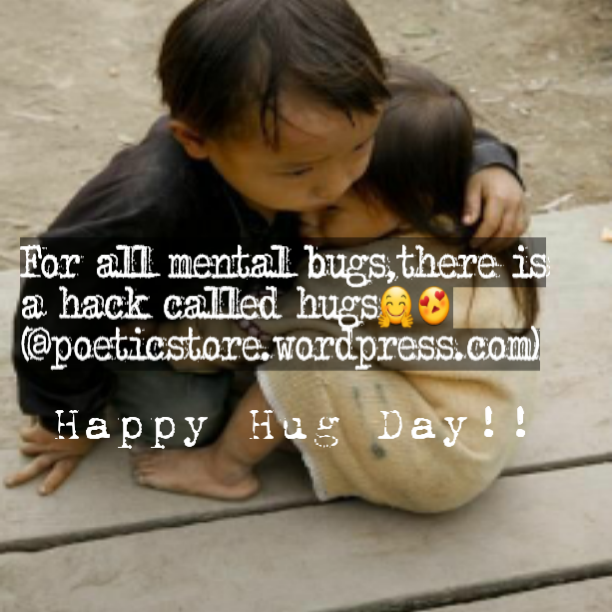 Pingback: (Hug day spsl)For all mental bugs,there is a hack called hugs🤗😍 – The Scattered Beans…….